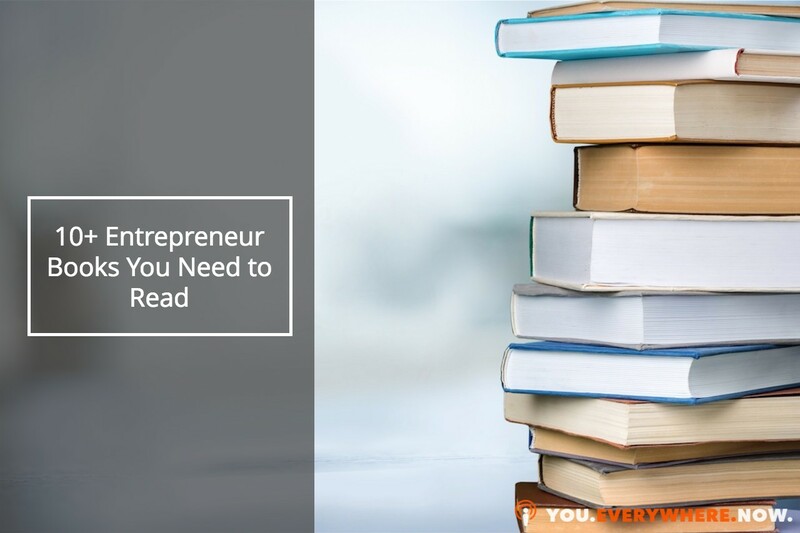 These are the books that have helped me run a successful business. Some of these I've read and re-read multiple times. The first book that I am going to recommend is the classic Think and Grow Rich by Napoleon Hill. It definitely teaches mindset, and also opens up the idea of the mastermind. I can't recommend it highly enough. Every time I read it, I see something that I either need to re-read or something I previously read in a slightly different way. There's another really good book that I had to recommend here. It's called How to Get Rich by Felix Dennis. He's also the original founder of Maxim magazine. Felix Dennis is a lifestyle entrepreneur. Definitely eccentric, but what I love about it is you really learn how he thinks. That is the most important thing of all. It says, “One of the greatest entrepreneurs shares his secrets.” It's a darn good, really fun read. Learn how writing a book can help you make more money. Get my best-selling book Publish and Profit here for free. I'm going to give you three other books by my friend, Tim Ferriss. They are The 4-Hour Work Week, The 4-Hour Body, and The 4-Hour Chef. Tim Ferriss knows how to process information and break down success better than anyone I know and that's exactly what he did in these books. Even though The 4-Hour Chef didn't get all the accolades it should've gotten, I highly recommend it because it's not about being a chef necessarily, it's about creating recipes, and I love that. In addition, he’s also got an incredibly valuable and useful podcast. My next recommendations are by another gentleman who I've spoken on stage with. One of them is The Presentation Secrets of Steve Jobs. It's been around for a while, and it's very good. Gallo has also written two other books that I recommend called Talk Like Ted and The Innovation Secrets of Steve Jobs. All of them are very interesting and well worth examining. Carmine Gallo really understands how to break down a formula and put it into words the reader can understand. I love formula books. I love system books. I really admire Nancy Duarte. She is best known for her book, Resonate, but I also recommend her other book, Slide:ology. Slide:ology focuses on the art and science of creating great presentations. Nancy is credited with helping create the original TED talk format and formula that's been replicated and used in so many different ways. In her book Resonate, she breaks down the “I Have a Dream” speech and some of the original, most influential speeches that have ever been created, and she explains why they work so well. I can't recommend all of her books highly enough. Also, she just came out with a brand new book called Illuminate! I haven’t read it yet, but I just ordered it, so I'm going to be reading it very soon. Next, a couple books by a friend of mine, Keith Ferrazzi. Again, they've been around a while, but they never get old. One's called Never Eat Alone and the other one is Who's Got Your Back. I love Keith, and I actually had the great fortune of being able to go to Burning Man with him. He is a brilliant, interesting guy who really understands relationships. Out of the two books, Never Eat Alone is a quintessential in my opinion. Next there is a book that I highly recommend about economics. It's called Whatever Happened to Penny Candy? Check it out. All of his books are really good. They're easy to read, definitely something that you can give to a kid that explains concepts like inflation and debasing currency and where all that came from. It is libertarian minded by its nature, so if you're an entrepreneur, I think you'll definitely relate to it and you'll see the evils that governments do when it comes to manipulating markets and ruining markets by getting involved. I go back to this book over and over again. It's called The Ultimate Sales Letter by Dan Kennedy. The subtitle reads “Attract New Customers, Boost Your Sales,” and that is exactly what this book helps you accomplish . Kennedy has gone through multiple editions, but in each one he deconstructs really good sales letters. I really couldn't agree more. This is something you will definitely want to dive into. This is a little bonus I'm going to add on here. Publish and Profit is something that might be for you if you've ever considered sharing your message and writing a book. And I'll give you an opportunity to get it for free. In my opinion, writing a book is the fastest and easiest way to build your visibility, build your platform, and get attention. Every single one of these authors earn more. They reach more people by writing books. I've gotten to know a lot of the people who used this system and it has been a real treat to see what their books have done for them. You can't beat the process of writing a book for yourself. The truth is, you can gain twenty years, sometimes thirty years, of knowledge, wisdom, and expertise in one book for as little as $10. There's never been a better buy ever. Check these books out and add a few to your reading list. If you want to start reading my book, you can get it for free by clicking the button below. If you want to learn exactly what becoming a best-selling author can do for your business, you need to read this.